Keep left on the ramp to continue straignht onto Merritt Blvd. for approximately 1/2 mile. Turn right onto German Hill Rd. St. Andrew Cemetery is approximately 1/2 mile on your left. Head east on E. Lombard Street (toward Patterson Park) and turn left onto S. Duncan St.
Make the first right onto E. Baltimore St. Proceed 1.3 miles on E. Baltimore St. Turn right onto S. Haven St., and then take the first left onto E. Lombard St. Proceed about 1/2 mile and take the third right onto Ponca St. Proceed 0.3 miles and turn left onto Eastern Ave. Proceed 1/2 mile and make a slight right onto Dundalk Ave. Proceed 0.8 miles and turn left onto Boston St. Proceed 0.4 miles and make a slight right onto German Hill Rd. Proceed about 1 mile and St. Andrew Cemetery will be on your right. The dedication of a flagpole waving the United States flag occurred at St. Andrew Orthodox Church Cemetery on Sunday, May 12th, 2013. 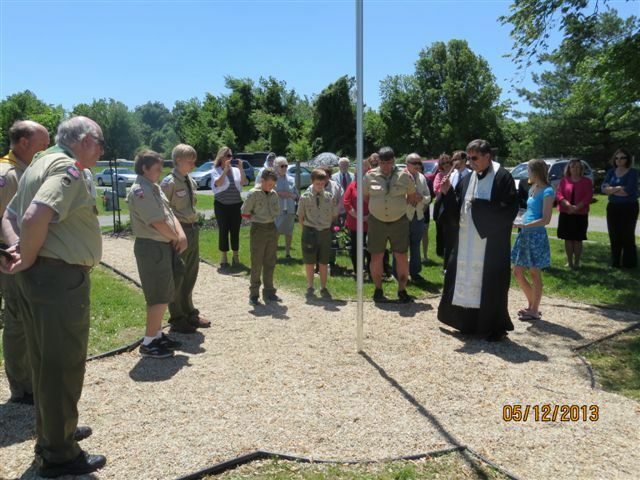 The flagpole was installed as part of a scout project by Boy Scout Troop 354 of Dundalk, MD. 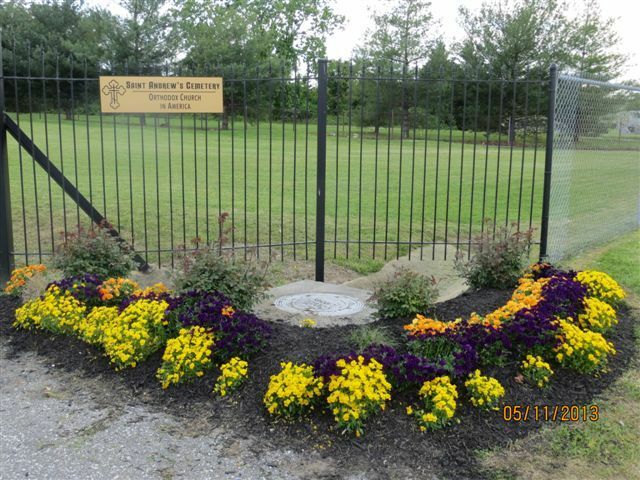 Boy Scout Troop 354 took on this project at the behest of a young man whose grandfather is buried in the cemetery. 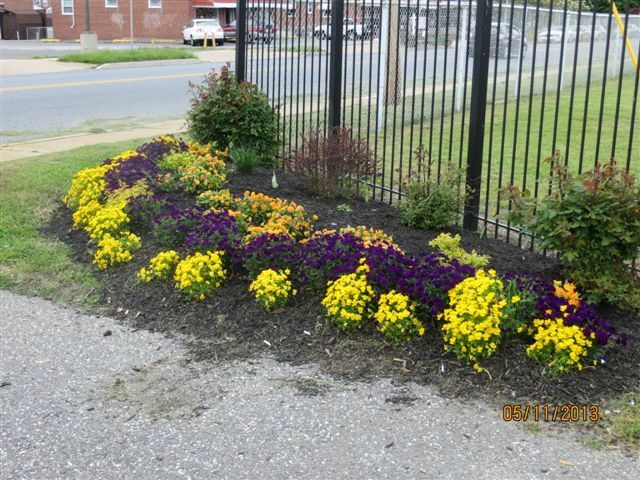 In particular, this community service project is the final step in the young man earning his Eagle Scout badge. 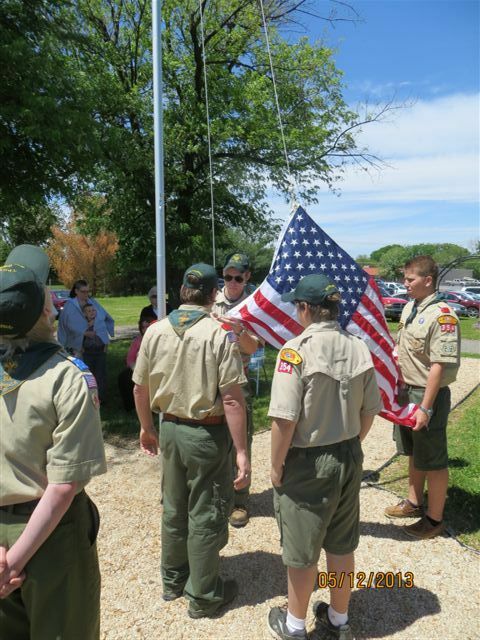 The boys of Troop 354, under the leadership of this young man and his Scout Master, did the work in preparing the base and erecting the flagpole. When completely finished, a monument with a memorial plaque will exist at the base of the flagpole. That plaque will signify that the flagopole is dedicated to all members of the United States military who are buried now and in the future at St. Andrew Cemetery. May God Grant Many Years to this young man and his family, who are parishioners at St. Michael Ukrainian Orthodox Church in Baltimore, MD.